Hugo Harris in Student Life on 9 December, 2015. Students mourned the loss of affordable education. Photo credit: Charlotte Warmington. Professor Stuart Corbridge, Vice-Chancellor and Warden of Durham University, has responded to Tuesday’s ‘Funeral for Accessible Education’ that was organised by the Trevelyan College Left Society in protest against a further rise in accommodation fees. In an email to students he said ‘‘I am writing to assure you that the University Executive Committee (UEC) hears your concerns about college residential fees and is keen to consult effectively with student representatives going forward’’. He then outlined the four key areas where he hoped a dialogue would be developed between students and Pro-Vice-Chancellor, Professor Graham Towel. The issues up for discussion concerned ‘‘more bursarial support for students with a parental income of up to and including £26.5k (the national average wage); potentially offering more student choice via differential college fees’’ and supporting the ‘‘active involvement of students in the development of our new Accommodation Strategy’’. This intervention is unlikely to placate the students who were yesterday attempting to “put pressure on the University to agree to a two year freeze in College fees, and to commit to a full consultation of the student body when agreeing College costs” through their ‘Funeral for Accessible Education’. A particularly vivid picture of the event was depicted by The Tab: ‘‘Lead by the Grim Reaper himself, the protesters, arranged by the Trevelyan Left Society, marched from Palace Green, down the bailey, and ended up in front of Billy B, where they laid the coffin of cheap living fees to rest’’. Liam Watkins, one of the ‘pallbearers’ at the ‘funeral’, that is reported to have brought over 300 people together, spoke to The Bubble: ‘’I got involved because I feel it is important to exercise our right to protest…the fact that these fees have risen saddens me, as I believe education should be done on merit as opposed to your financial situation. It is wrong, in the society we live in today, that an institution like Durham University is inaccessible if you haven’t the funds. It is unfair and unjust’’. He later added, ’’I think the innovative idea of actually holding a funeral service carried the message strongly’’. Last month the Trevelyan College Left Society held a demonstration to warn the UEC about raising accommodation fees in the first place. Then, 150 students turned up to chant their disgust at the prospect of further rises in costs above inflation. Cries of ‘‘Freeze our fees’’ and ‘‘shove your price increases up you’re a**e’’ rang out across Durham University’s science site. However, this warning wasn’t heeded and only two weeks later it was revealed that there would be a 3.5% increase in fees. For 2016/17, students living in a standard college room with catering in term time and either Induction or Congregation week will pay £7,058 for term time accommodation whilst students in self-catered accommodation can expect to pay £4,940. 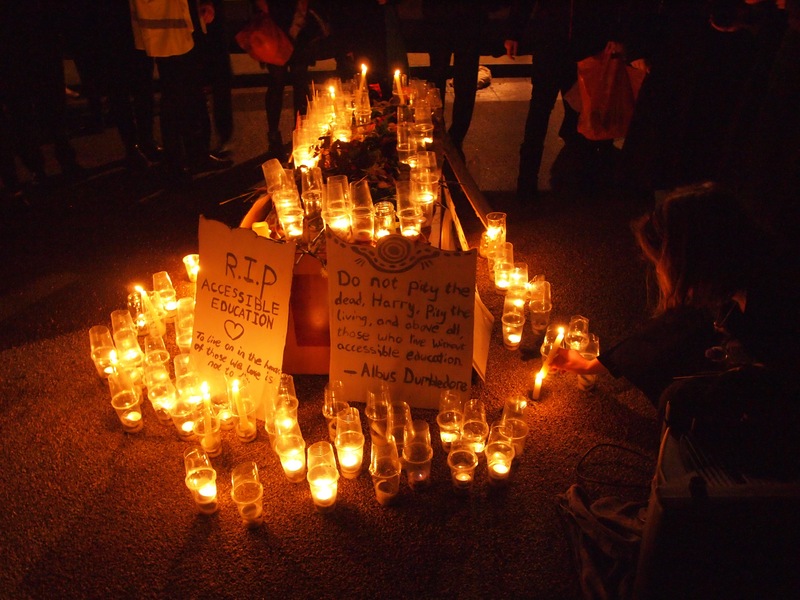 In the run up to Trevelyan College’s Left Society’s latest protest, their ‘Funeral for Accessible Education’ has received much media attention from the national press. The Observer carried an article about the event and Tom Barker, a member of the Trevelyan College Left Society, even found himself in the Huffington Post. He said that “Durham University is not listening to its student body. Therefore we are going to mourn the education that many can no longer afford’’. 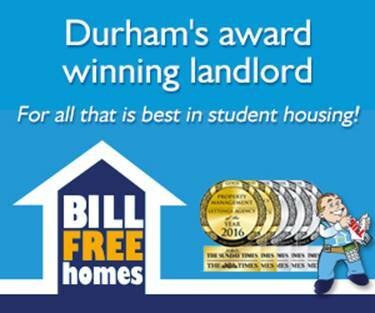 Esther Green, Community Officer at the Durham Students’ Union, speaking to The Bubble, has welcomed the intense spotlight that the issue of fees was now receiving: “Following the announcement of an increase in accommodation fees, students have quite rightly expressed concern. It’s heartening to see our students coming together to take action on something which may not directly affect them’’. She also noted that the DSU ‘‘were pleased to see the University has listened to students and responded with the opportunity for wider consultation in the future. We will work together with common room presidents to ensure student views are represented to the highest levels of the University. We will continue to create opportunities for students to share their views and experiences with us on this issue. Our recent zone meeting about accommodation fees was a positive step in gathering evidence that we can present to the University. We are currently reviewing the comments from students to develop a report for submission to the University. This will also be shared with students’’.